Have you been hearing squeaky sounds in your home lately? Wondering what that strange musky odor is? Who has been gnawing your furniture and food? Well, if you haven’t found the answers to these questions yet, then we hate to tell you this but your house is most possibly been invaded by mice. 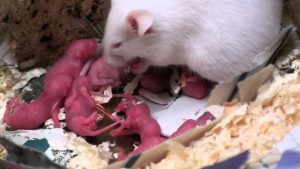 If mice infestation in your home is not addressed on time, it can turn into a huge problem. House mice are the most common types of rodent pests in most parts of the world. They are small furry creatures with slender bodies measuring between 2 to 3 1/2 inches in length. Their tails are 3 to 4 inches long and are hairless. They may be light brown or grey in color. Their snouts are typically pointed and have small rounded ears. Though they can survive outdoors, they like to reside in structures like homes. They like to hide under the sink, kitchen cabinets, in and behind the closet and pantry, attic, basements, garages and food storage areas. Mice usually build their homes near areas where they can easily find food virtually; they like to eat 15 to 20 times a day after all. which totals to 150 babies each year. Mouse droppings- Even if you’ve never spotted a mouse, but if you see its droppings, then that is a sure sign that your home has a mouse infestation problem. Unexplained holes and tears in your clothes, insulation and other materials. Mice use shredded materials to build their nests. Small holes in kitchen cabinets and furniture. Mice like to chew wood and make new homes in such places. So you definitely need to watch out for that! All these signs indicate a mouse infestation. Don’t ignore it or leave it unchecked. Their speedy breeding and refuge in your home can turn into a menace. According to CDC, mice are known to spread over 35 diseases. These diseases can be spread through direct contact through handling it and through contact with its feces, urine, or saliva. Some of the most common diseases carried and transmitted by mice include rickettsialpox, salmonellosis, leptospirosis and lymphoytic choriomeningitis virus. Mice are also known to spread diseases through mites, fleas and ticks. Other problems that you can face due to mouse infestation are structural damage, food contamination with urine, hair and droppings. The smell they give off can cause breathing problems. monitor their movement and pinpoint their location inside your home. The sticky trap sticks to its skin allowing you to monitor its movement. Keep your home clean. Make sure you clean up, vacuum and mop the floor in case of food or sticky liquid spills. 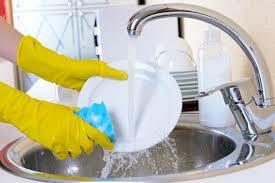 Make a habit of cleaning the kitchen every now and then especially areas like cabinets, sink and your cooking range. Look for small holes around plumbing and inside cabinets. Plug the holes with steel wool so that mice are unable to enter your home. Also, make sure that there is no room to crawl under doors. This is important because they can easily squeeze through a 6mm gap. 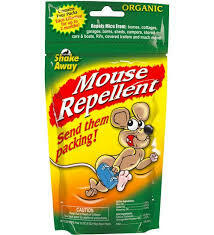 To exterminate and prevent mice from sneaking into your home, you can also use mice repellents. These are poisonous chemicals used to kill mice. However, since these are poisonous, it is advisable to use them carefully and cautiously. When all else fails, it’s advisable to call in the expert, a professional mouse exterminator. They have the skills, experience and equipment to exterminate mice from your home for the longest time. They use effective chemicals and control methods that can get rid of mice quickly.